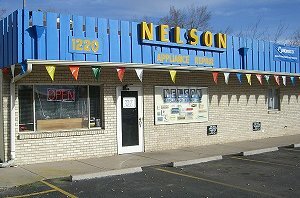 Nelson Appliance provides repair services as well as parts and accessories for small appliances. As a contracted service center for numerous small appliance and vacuum manufacturers, Nelson's is authorized to provide quality repair service for in-warranty and out-of-warranty small appliances. Click here for more information regarding the repairs process. Because we do not work with major appliances, we can focus our efforts on small machines like coffee makers, espresso machines, irons, steam generators, lamps, shavers, clippers, toaster ovens, slow cookers, pressure cookers, carpet cleaners, vacuums, mixers, food processors and many other items from around the house. Do-it-yourselfers can turn to Nelson Appliance for hard-to-find parts and accessories for many of their small appliance repair projects. Search our product database and find your quality OEM parts - we'll get them right on their way! Small appliances, like any other machines, wear out or suffer from simple component failures. It would be a shame to throw them into a landfill if all they need is a little help. In today's green, waste-conscious world, it is important to make an effort to return any broken or non-working items to usefulness if we can. Join us in our efforts to keep small machines and vacuums working as long as possible by letting us breathe new life into your tired but faithful appliances. For many years, people looking to make their own repairs have also looked to us for quality parts and advice. In addition to the satisfaction it brings when a broken item is made to work again, we take pride in providing freindly customer service to the owners of all of our convalescing charges and making new friends in the process every day. At Nelson Appliance we work with people. People from our area and people from far away turn to us for help in restoring their favorite small appliances to working order, and for advice on the best path to take in that pursuit. Sometimes, a repair does not make financial sense, and we will always tell our customers when we feel this is the case. Most clients are pleasantly surprised when they learn that a repair does make sense, and even falls below what they expected might be the cost. Estimates are free, so it makes sense to let us inspect your appliance so that you can make an informed decision. When a customer's appliance is still within its warranty period, we can provide repairs at no cost to the customer, according to the manufacturer's terms. At Nelson Appliance we also work with manufacturers. As a long-standing repair facility, Nelson's has been sought-out by many small appliance and vacuum cleaner manufacturers to provide service to customers who own their brands (see our list). Relationships are important to us at Nelson's, and we work hard to provide professional service to all of our clients - customers and manufacturers alike. Founded by the Nelson family in 1957, the repair business began in the garage of Mr. Nelson's residence, then surrounded by tranquil horse pastures and fronted by a narrow dirt road. As times have changed, Nelson Appliance has remained. Now in a shop built on the site of the old garage, Nelson's finds itself surrounded by a changed world. The dirt road of the old days is now one of the city's main east-west thoroughfares traveled by many thousands everyday. The gentle pastures are now covered by businesses, homes, apartment complexes, medical centers and the like. Though many businesses have come and gone since Nelson's began, we attribute our longevity to our customer's willingness to rehabilitate their broken appliances rather than toss them aside. Many of our customer's have been coming to us for as long as they can remember, and some tell us tales of being brought to our store as children by their folks back in the old days. We appreciate the loyalty and good wishes of our customers and realize we couldn't continue without them!